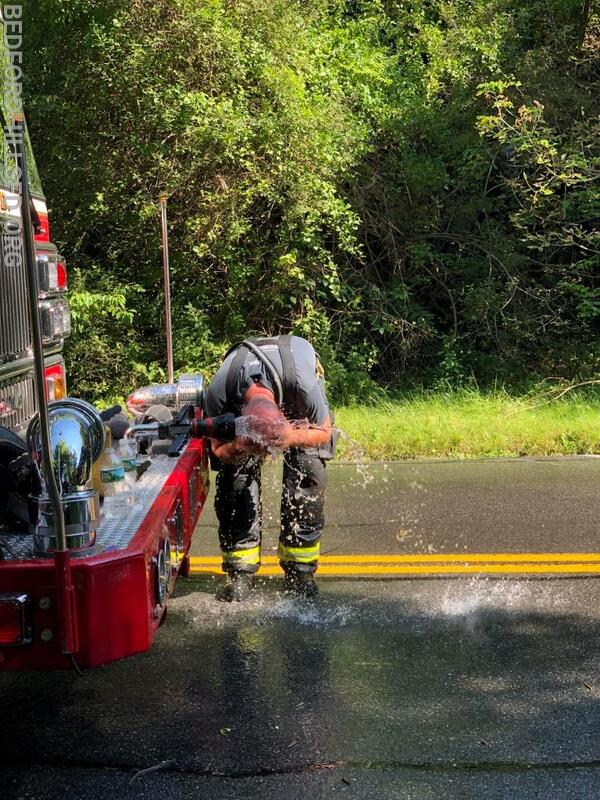 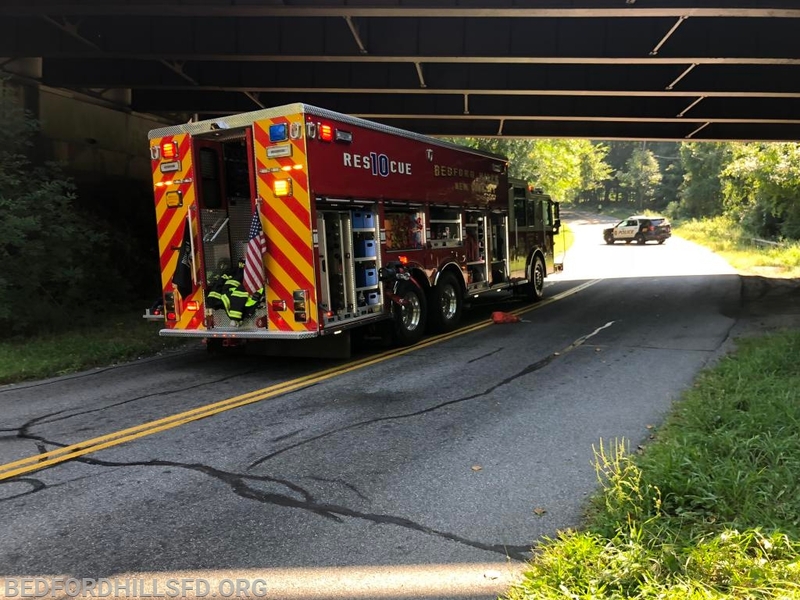 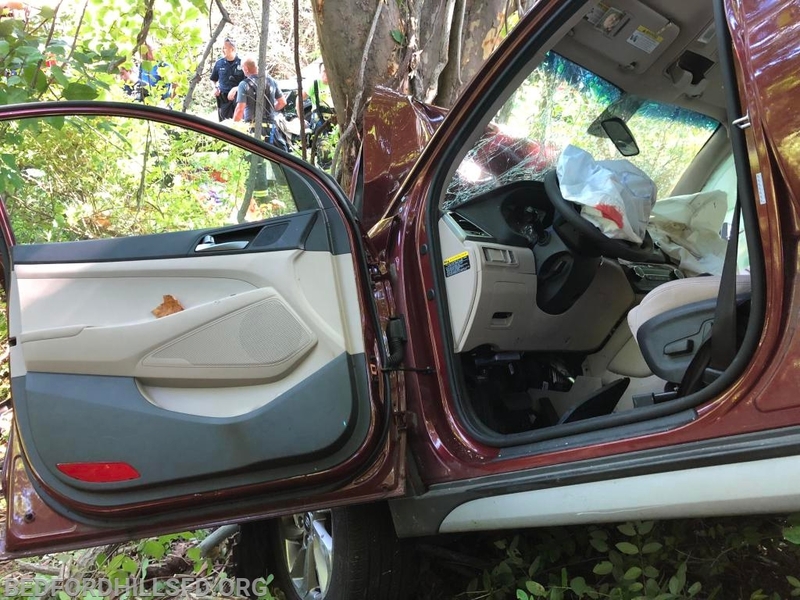 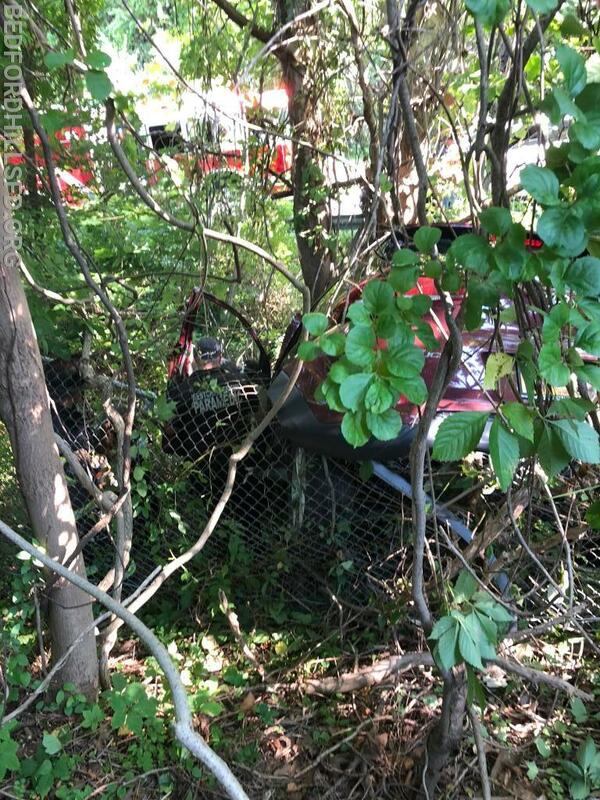 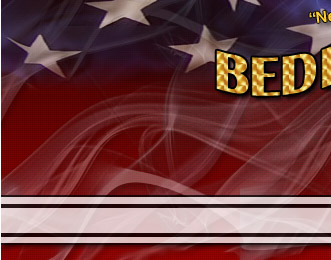 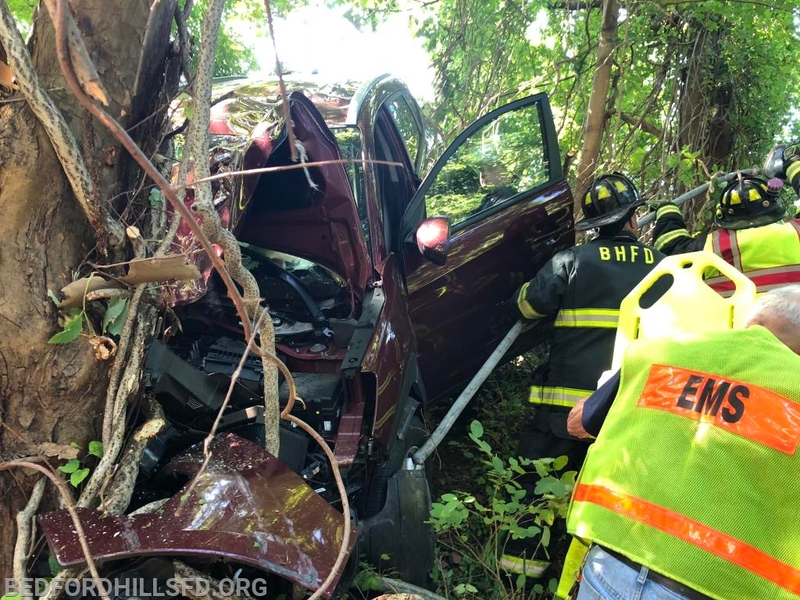 At 10:13 Hours on Monday, September 3rd, Bedford Hills Volunteers were dispatched to Interstate 684 Northbound for a motor vehicle accident with injuries. 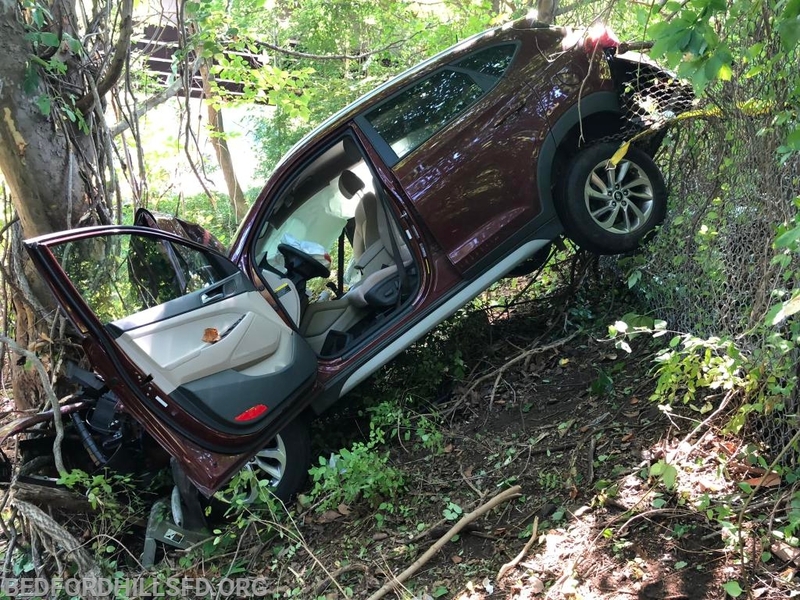 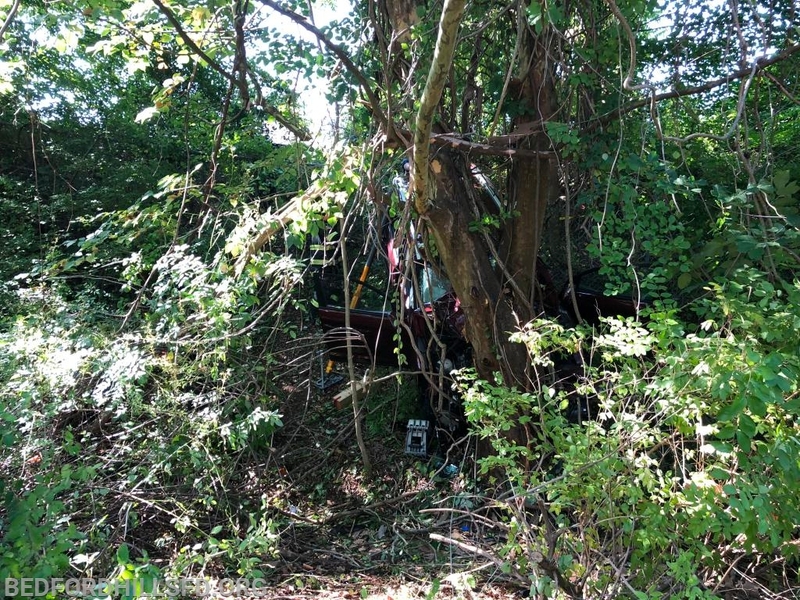 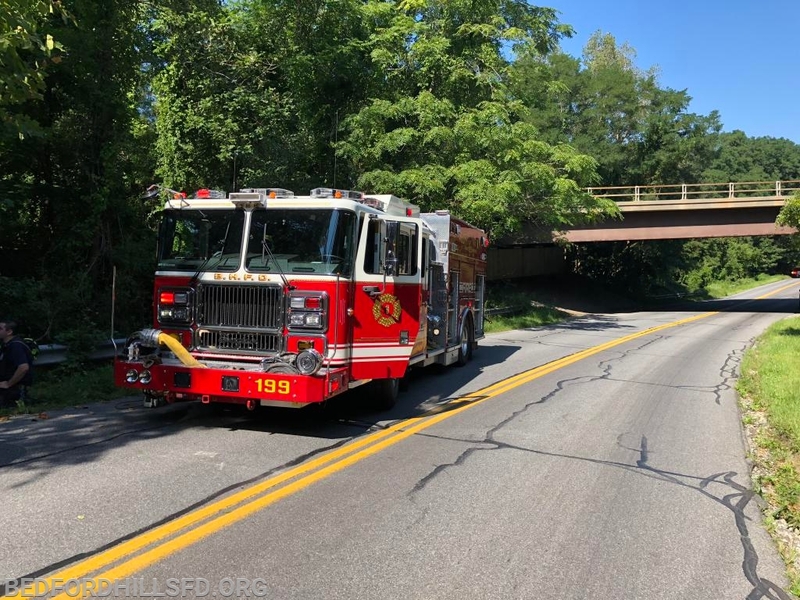 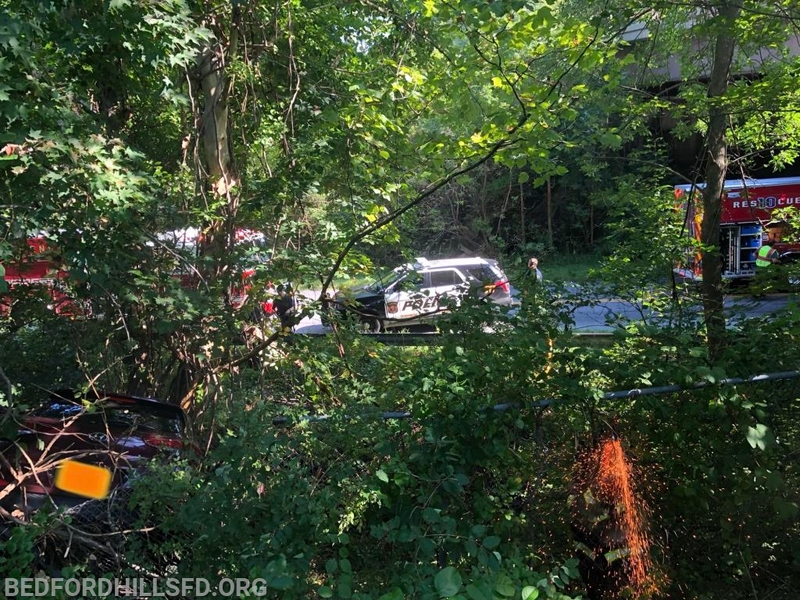 While responding, 60 Control advised of additional calls reporting the vehicle left the Interstate, through the grassy median and was down the embankment of the Harris Road Overpass. 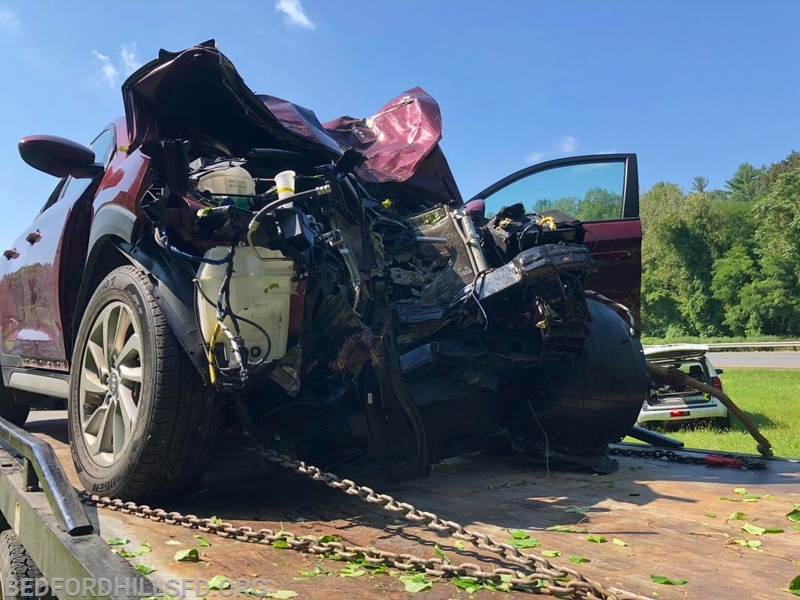 Police Agencies confirmed the vehicle was located in the wooded area between the North and Southbound Lanes of the Interstate. 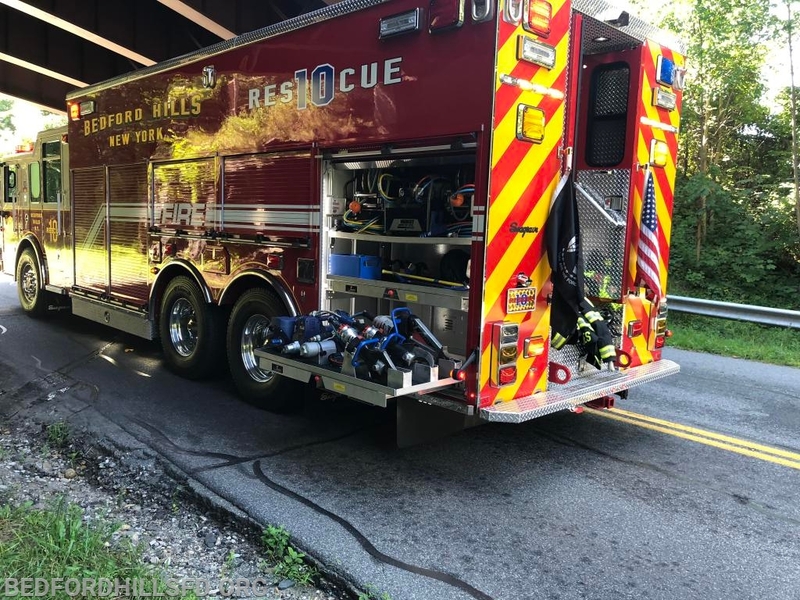 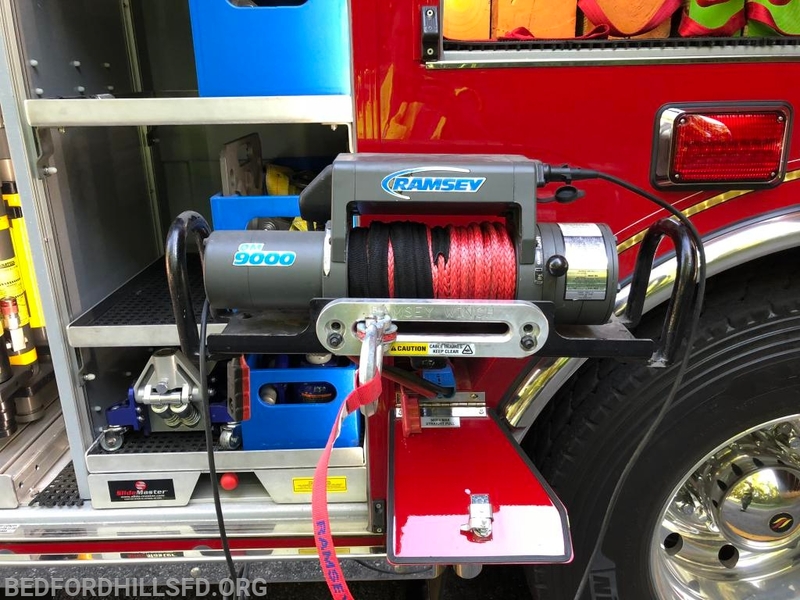 Engine 199 led by Captain Palmesi, was first arriving and immediately requested a second BLS ambulance for the additional patient. 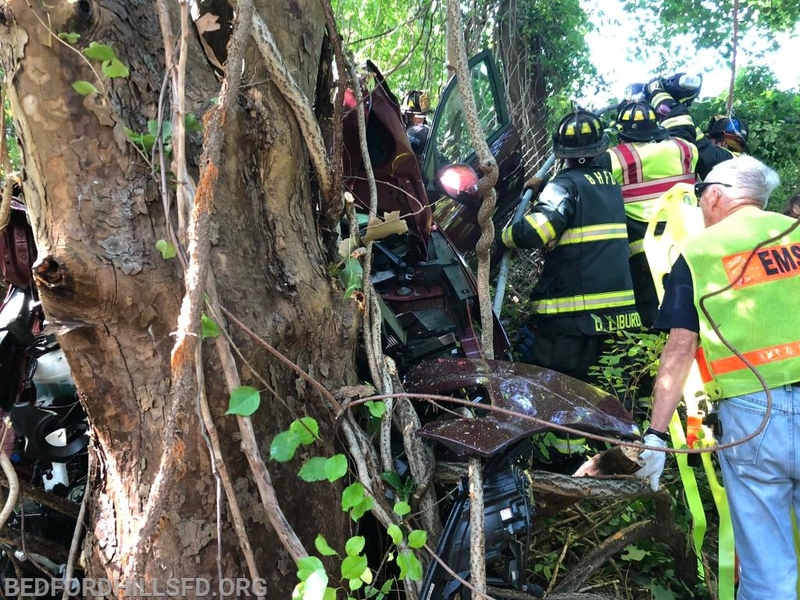 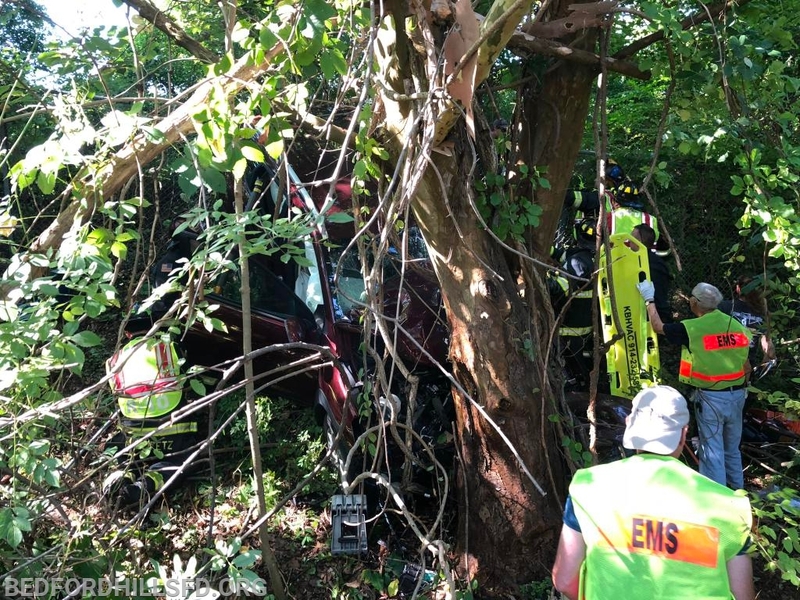 Crews worked seamlessly, cutting through the heavily wooded area to make patient contact and stabilize the vehicle for patient extrication. 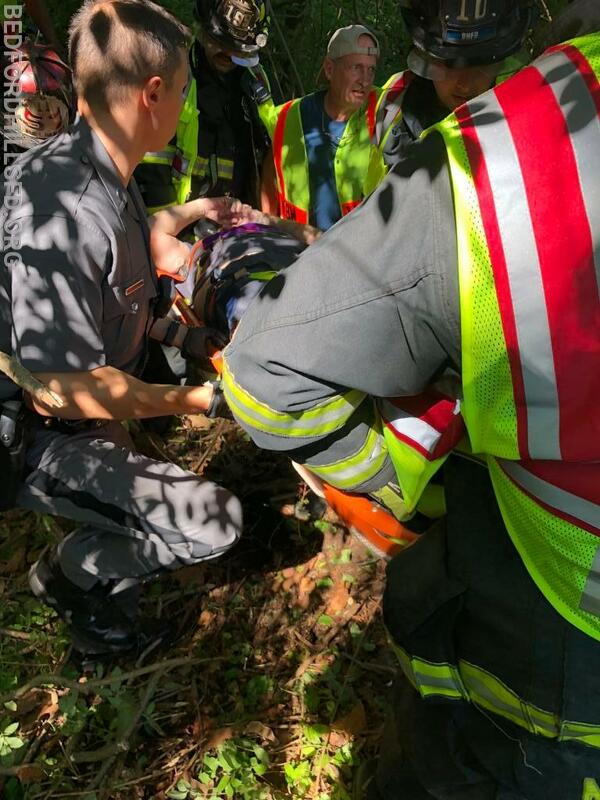 EMS transported both patients to area hospitals while BHFD remained on scene to assist tow and police agencies with the vehicle removal. 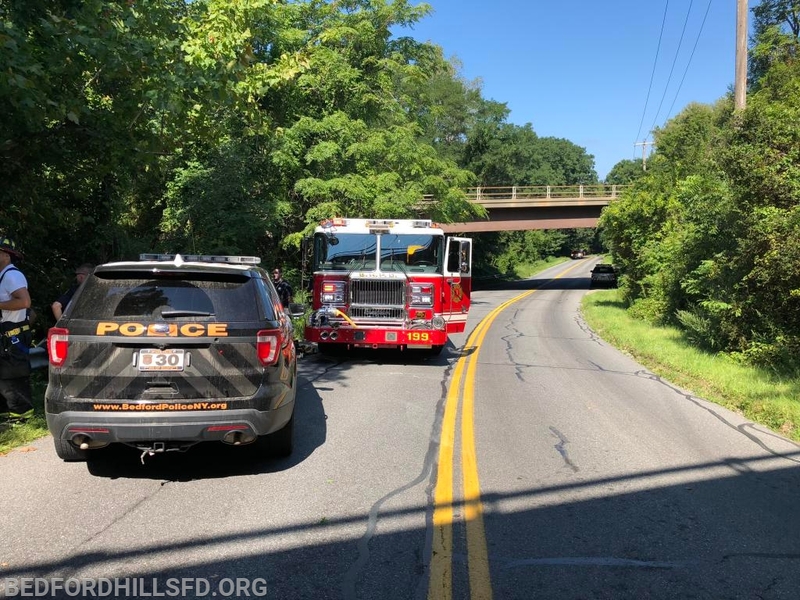 Harris Road was reopened around 12:45 hours.